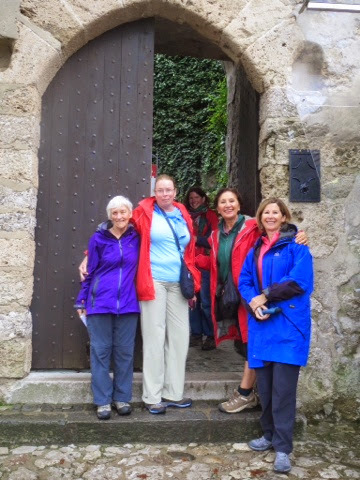 We are not disheartened by the weather, rain actually adds a mystical and fairy tale touch to our visit to Lake Bled Castle. The castle is one of the oldest castles in Slovenia and was first mentioned in a written document on May 1011. 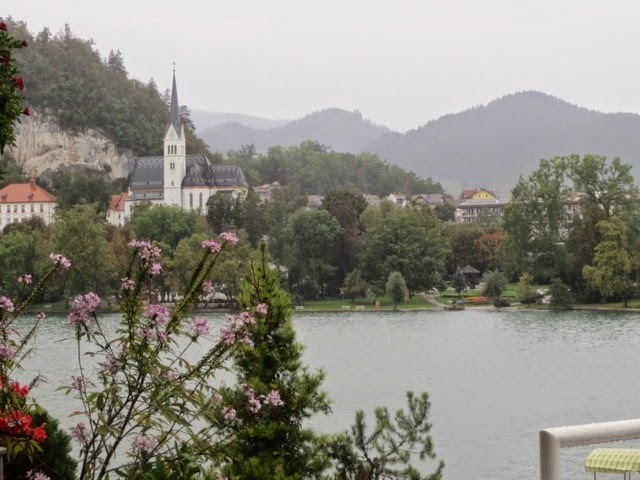 The magnificent castle perched atop a cliff rising above the turquoise lake Bled, with its romantic island and church is the very image of Bled that through the centuries became well known not only in Slovenia, but the rest of the world. The castles terraces offer a spectacular view of the upper Camiola region, captured between the mountain ranges of Karavanka and the Julian Alps. 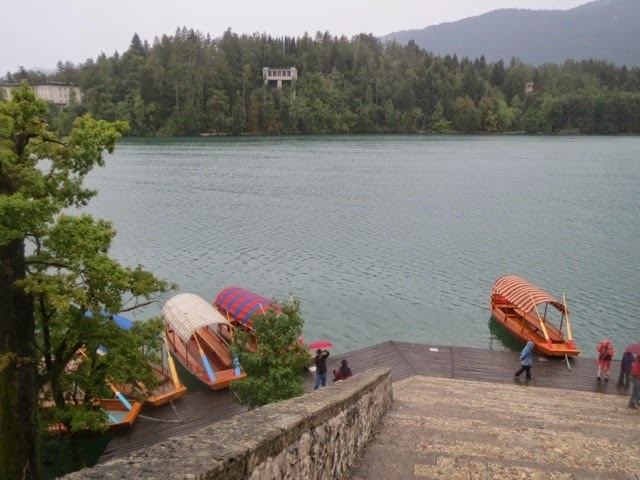 To get the the Island and church we took a magnificent hand crafted wood rowing boat, firtubately we did nit have to row ourselves, as we were accompanied at the helm by a strong Slovenian man. On reaching the Island we them climbed several steps to the church which charges 6 euro to enter, with an opportunity to ring the bell and make a wish that legend has it will come true, some of us then went the extra climb to the top of the bell tower were we were rewarded by a spectacular view of lake Bled. We built up an appetite enjoying our picnic lunch, before taking an afternoon hike to the museum.